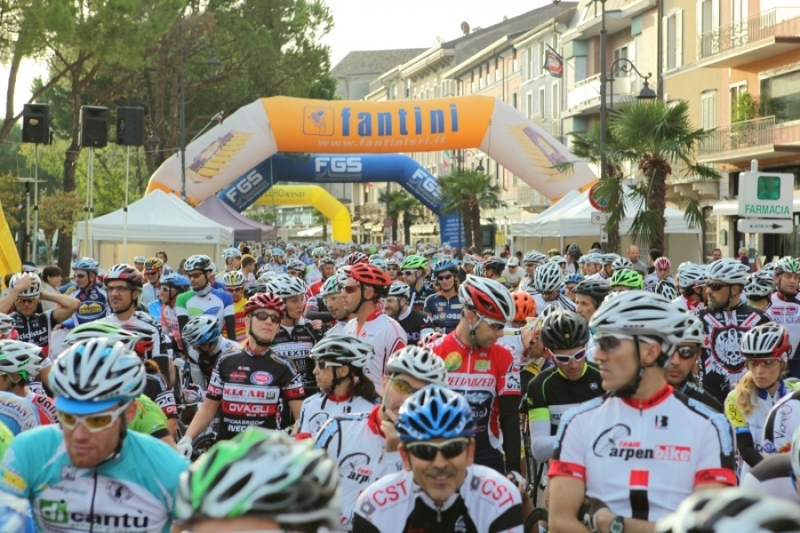 the "Gran Fondo Colnago 2019" takes another time place in the beautiful city of Desenzano del Garda. Cycle the Gran Fondo Colnago 2019 on your road bike and cycle the legendary climbs. You can choose between an medium route of 110 km and an longer route of 159 km. Guided cycling Tour Gran Fondo Colnago 2019. From April 5 until April 8. 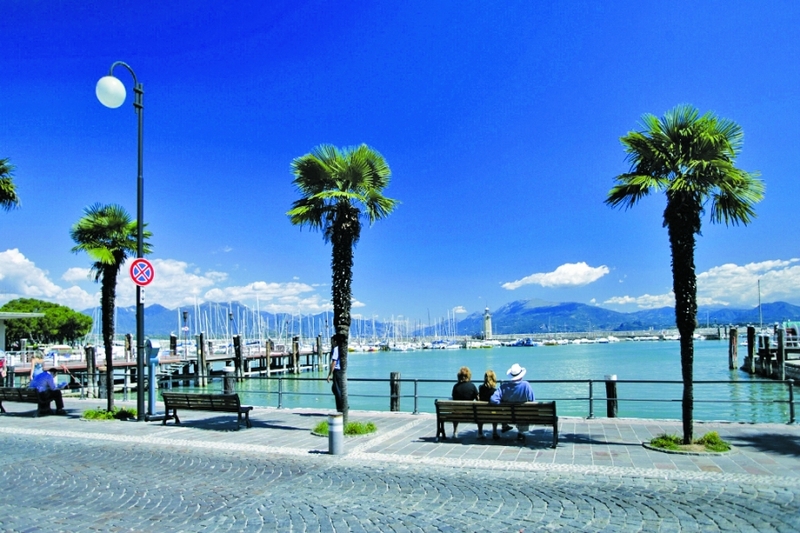 After the great success of the 2017 and 2018 the edition the “Gran Fondo Colnago 2019” takes another time place in the beautiful city of Desenzano del Garda! 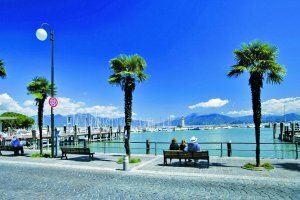 The potential of Desenzano del Garda and the surrounding area for professional and tourist cycling is basically limitless Desenzano del Garda & Colnago is the perfect combination between one of the most important and historical brand of modern cycling, and a wonderful town on the shores of Lago di Garda! Cycle the Gran Fondo Colnago 2019 on your road bike. On your first day it is time for arrival and in the evening you get the chance to visit the ‘”White night Festival’’ in the evening at the expo area. On your next you’ll have an trainingsride around Lake Garde. Relax after the ride at the Expo area on the waterfront. The Gran Fondo Colnago is a two-days event and dedicated to the whole family, from little cyclists on the grass to the biggest of all. On day 3 it is time to cycle the Gran Fondo. You can choose between an medium route of 110 km and an longer route of 159 km. The Gran Fondo especially famous due to the legendary climbs. The Passo Caldarola, Passo S. Barbara, cima Coppi, Passo del Cerro and Bagnolo ascent. Immerse this great Gran Fondo Colnago Trip together with Cycle Classic Tours! Check in around 14.00h at your hotel. There will be a briefing , bike fitting and explanation for the coming activities and itinerary for this Gran Fondo Colnago 2019. 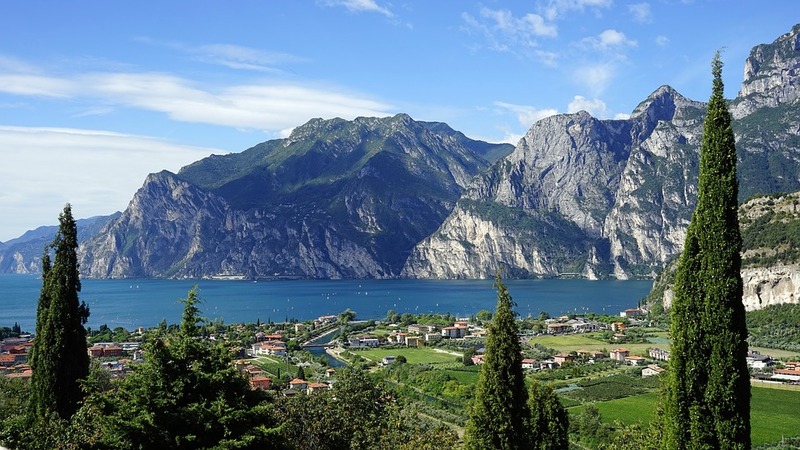 Today you’ll cycle a nice guided trainings ride around Lake Garda. Relax after the ride at the Expo area on the waterfront. Summer in Desenzano del Garda never ends! 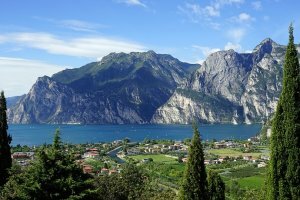 The International Colnago Gran Fondo Race The Gran Fondo Colnago is a two-days event and dedicated to the whole family, from little cyclists on the grass to the biggest of all, ready to have fun and compete on the roads and streets around Lake Garda. These welcome the best cyclists in the world the whole year round, because the foothills of the Alps are ideal training ground for taking on the challenges of a hard season. The Gran Fondo Colnago forms part of the new Colnago Cycling Festival. The route features legendary climbs including the Passo Caldarola, Passo S. Barbara, cima Coppi, Passo del Cerro and the famous Bagnolo ascent. A well deserved shower and a plate of pasta will be waiting after such a long day!